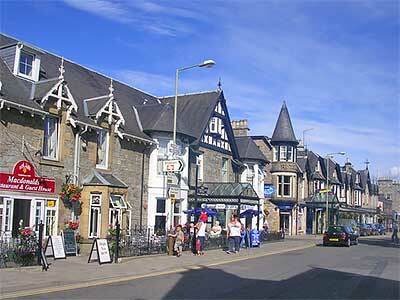 Pitlochry is one of the most visited towns in Perthshire and can be found in the geographical centre of Scotland. It is a well-known local saying that a map of Scotland can balance on the top of your finger under Pitlochry. Wether this is true or not, fact is that It’s a quaint Victorian Spa town just off the A9, 26 miles north of Perth and south of the Cairngorms National Park. 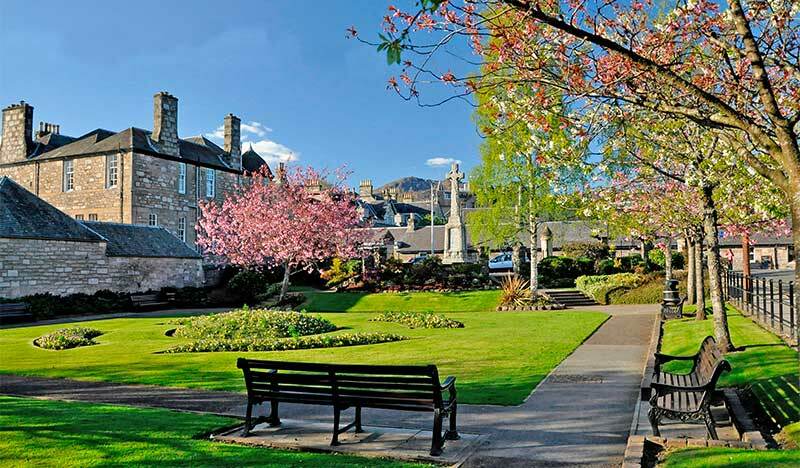 Pitlochry’s main tourist attraction is its setting, with the surrounding mountains attracting hillwalkers and climbers. There is lots to see and do in and around the town, wether you are there for the day or for your holiday. Accomodation is plentiful with good hotels, a backpacking hostel, plenty of bed and breakfasts and self-catering accommodations, both in the town and surrounding areas. A caravan and camping site at Loch Faskally, just north of Pitlochry, is another good place to stay. Beautiful floral arrangements deck the streets, throughout Spring and Summer, bringing a lovely relaxed atmosphere to Atholl road and the Park, where you can enjoy a seat and watch the birds. 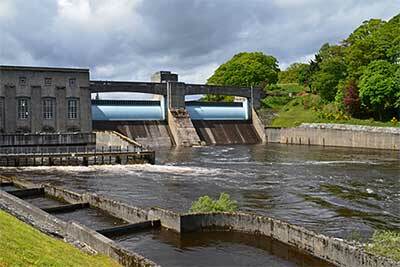 When in Pitlochry, make sure you visit the Fish Ladder and Dam at Pitlochry Power Station where you can watch the Salmon making their way up stream to Loch Faskally for spawning. Watch the counter change as each Salmon passes through. To the south and east of the the town are two whisky distilleries. Edradour Distillery, which is the smallest legal distillery in Scotland, is situated at the foot of the Moulin Moor, and there is Blair Athol Distillery which sits ion the main road. Both distilleries have a popular visitor centre. Pitlochry has an abundance of restaurants, such as Victorias on the Atholl Road which serves beautiful meals and coffees. Accross the road, Bebo makes the most delicious breakfasts too. Drummonds is not to be missed either for value and service. And there are lots of great tourists shops, and who could resist the Edinburgh Woollen Mill and Pringles for the bargains. For those of you who like theatre, Pitlochry has a great theatre which has lots of things on during the summer months. September, hails the Pitlochry Highland Games with pipe bands, highland dancing, tossing the caber and throwing the hammer , just to name a few. Visit their website for dates and a programme. Heading out of the town going North there is the River Garry, the Killiecrankie Pass and Blair Atholl with it’s shiny white castle and private army, The Atholl Highlanders. But before you leave this beautiful part of Perthshire, make sure you visit the House of Bruar. (The Harrods of the North) approx 12 miles from Pitlochry.